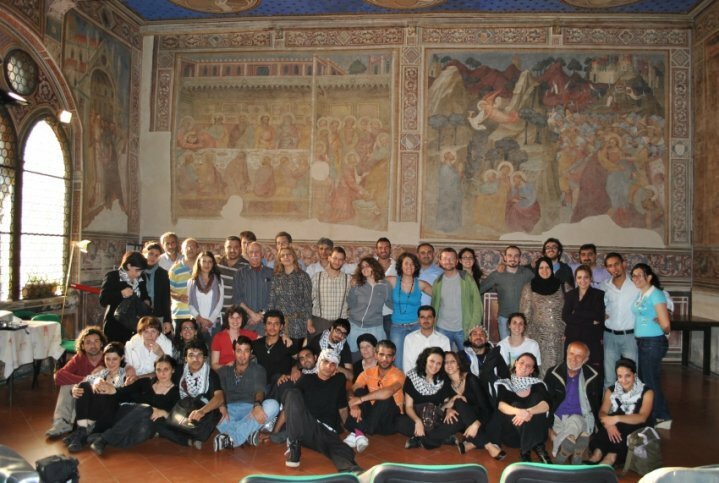 The Forum on Peace and Human Rights in Iraq organized by Un Ponte Per…(Tuscany) was held in Pisa on the 3rd and 4th June 2010. The Forum saw the presence of a delegation of Laonf made up of 8 Iraqi activists plus 3 more members already in Italy for research and working purposes and of Nova (Spanish Ngo) and Ipam (French Ngo). During the Forum we discussed several issues related to the current Iraqi situation, among them: civil rights and the freedom of speech, women’s rights and their participation in the public and political life of Iraq, conflicts and conflict resolution. On the second day, the participants took part in 4 different workshops aimed at promoting the exchange of views and ideas among the participants. The evaluation of the Forum has been successfully positive. The discussions held at the forum have been extremely challenging and stimulating both for Iraqi and international people. The presence of Iraqi activists and the possibility to hear from them the situation that they face daily has given us a better understanding of what we, as part of the Italian civil society should do to enhance our performance both in Italy and in Iraq.